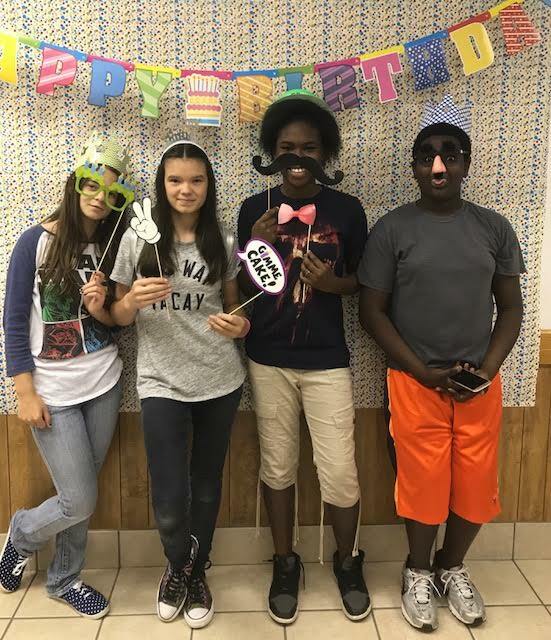 Each July we have a special birthday party at Calvary Baptist Church--Everybody's Birthday Party! 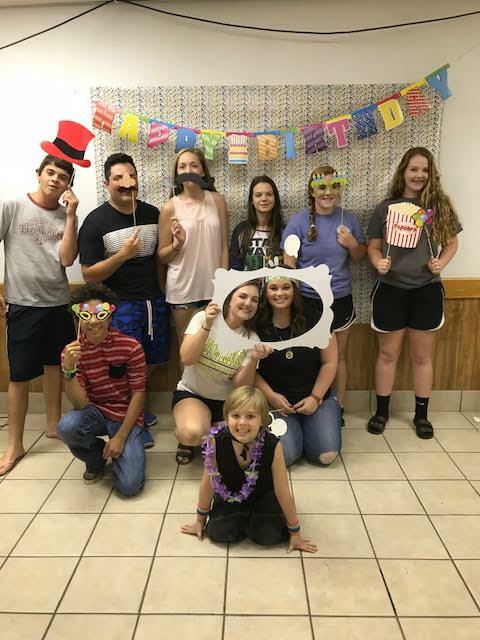 This year's party was held July 8, 2017 and we had a blast! 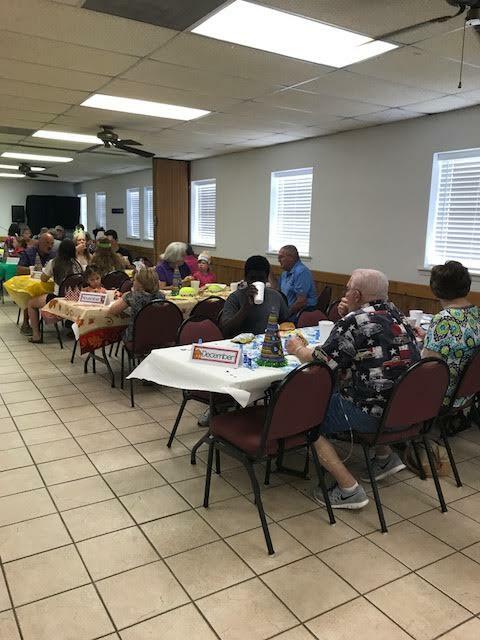 We had a great crowd, a good meal, and plenty of birthday cake. 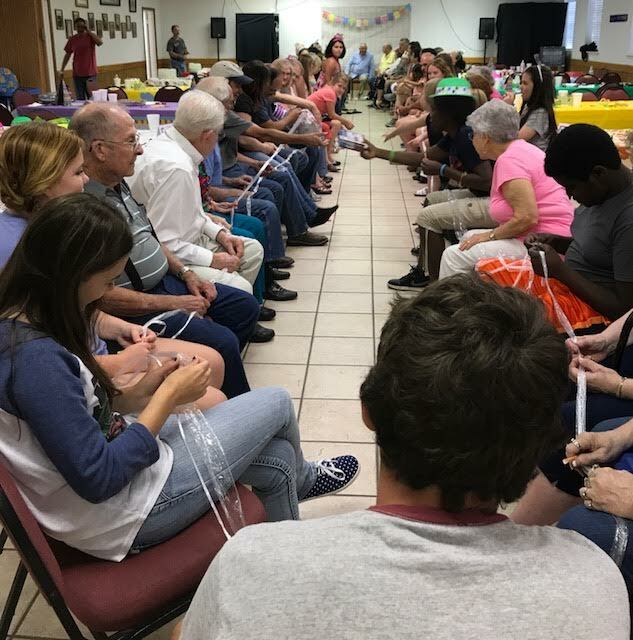 Everybody's Birthday is considered by many of us to be the best churchwide fellowship of the entire year! It is just as it sounds...we celebrate everyone's birthday in one huge party! So, if you have had or will have a birthday during the current calendar year (Ahem! That's you!) then this party is for you! Our Fellowship Hall will be decorated for the occasion, with 12 separate party tables, (one for each birth month) each decorated in its own unique party theme, and...best of all...each with its very own birthday cake! 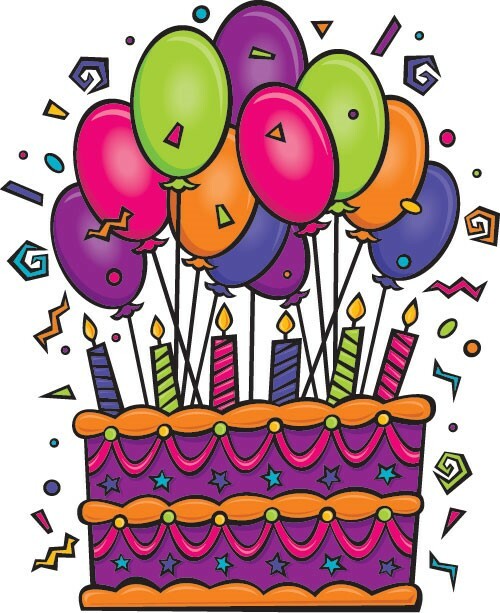 That's right--we will have 12 different kinds of birthday cake, and yes, you can sample them all if you really want to! We will have a casual meal, then we will play a few games together. (If you haven't attended this event in the past, ask someone who has--the games are a blast and there are lots of fun prizes!) Then, we sing Happy Birthday to one another and finally...we cut into those 12 beautiful birthday cakes! This is one fellowship that no one wants to miss. We hope to see you there!